When we first started sponsoring Lina almost four years ago, I never thought about the possibility of ever visiting her. 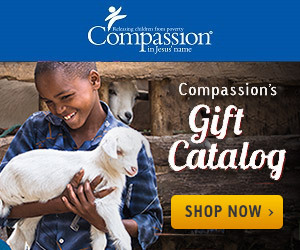 But now that I have been on one Compassion trip, the Compassion travel bug has bitten and I know that if God wants me to go, He will provide the way. To help me earn money to pay for a future trip, I have started posting things for sale again on my Gifts from Our Little Corner Facebook page. All of the items are handmade by me and I am donating ten percent of each sale to Compassion's Unsponsored Child Fund. Hand knit dish cloths are my favorite! Knit dish cloths are my favorite to use in the kitchen! I love working on these a little bit at a time, ten rows here, ten rows there. Right now I have at least five of these completed and ready to sell. Flannel baby blankets and wash cloth sets are another thing I like to sew and have on hand. These make wonderful baby shower gifts. Need a bit of spring color in your home? I also like to find some fun projects on Pinterest to try, like these Spring Burlap Bunting sets. Most of the time, I have a lot of the supplies around my home. So not only am I able to use up some of my supplies, but I am able to create some items for others to use and/or display around their homes. So be sure to 'like' my Facebook page so you can see what creations I have for sale to help me earn my way to another Compassion trip. I sure would appreciate it!